Are We There Yet? Cypress Gardens Boulevard Corridor Update | Winter Haven Economic Development Council, Inc.
It’s a question asked on countless journeys – whether you’ve asked it yourself, or were asked by kids in the car. A worthwhile trip does have an ultimate destination, but the journey is important as well. For many years, efforts have been made to gain agreement on the vision for the Cypress Gardens Boulevard Corridor. Recently, significant progress on this journey has occurred as many groups and individuals have come together to make the vision a reality. In 2015, the findings of the Cypress Gardens Boulevard Corridor Study were presented to a variety of groups, including the Polk County Board of County Commissioners (BoCC). The BoCC funded the study, which analyzed the Corridor and surrounding area. As you can see by the map, the study area was defined as the area from Overlook Drive to US Highway 27 along Cypress Gardens Boulevard (State Road 540). The study looked at the area from various perspectives, including leisure & commercial needs, accessibility & transportation and tourism & culture. Armed with this information, the challenge is to figure out what we want the area to look like, and what’s needed to get there. Based on the study’s findings, the Winter Haven Economic Development Council (WHEDC) proposed a number of recommendations for future actions. Many of these recommendations involve working with other economic development partners so that a coordinated, deliberate plan for the future of the Corridor can be realized. Crucial to the success of the plan is a community-oriented focus and coordination with partners such as LEGOLAND, the Greater Winter Haven Chamber of Commerce, other economic development groups, area businesses and residents, as well as governmental agencies. As part of that focus, the WHEDC is heading up the Cypress Gardens Boulevard Corridor Committee, which has met recently to review ideas for the Corridor so a coordinated planning effort can be successful. Another key recommendation for the project is currently underway as well. Canin Associates is developing an urban design concept that unifies the corridor for maximum potential. About 65% of the work has been completed on this limited scope project. Preliminary drawings are being refined prior to any recommendations. Once consensus is reached on the design concept, future plans and consistent development regulations can be proposed. While the uses will likely change over time, the key is to make sure that the area is designed right as it grows. What’s next on the journey? Continued work by the urban designer to finalize the plan, which will ultimately provide a blueprint for the look and feel of the Corridor. 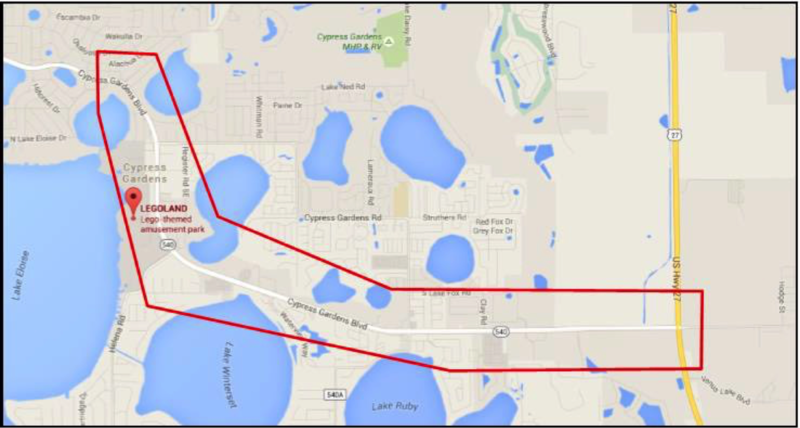 The City of Winter Haven is planning and budgeting a traffic study for the Corridor. This study will be useful in examining the challenges and helping provide specific direction related to use of properties and future improvements. Additional updates will be posted here to focus on the progress made on the WHEDC recommendations, as well as any recent news relating to the Corridor. Are we there yet? We’re not at the ultimate destination, but progress on the Corridor journey continues as we work toward a unified plan that combines a sense of arrival for visitors driving down Cypress Gardens Boulevard, with the best uses of the surrounding area for businesses and residents. Come along for the ride!